Rooms were kinda scary. The price I paid did not match what kind of room I was in. staff were very friendly but did not clean our room for our whole stay, there was only one toilet roll provided and no clean towels given. Location was good in that it was on a beach front but the tide was in the whole time and beach was dirty. I'd say avoid koh lanta in low season altogether!! Nice garden, AC and a fan. It was not good. The staff is extremely rude and not helpful at all. The food was not good and the room standard was bad. We did not get what we paid for. Swimming pool and location by the beach. Can't think of 3 good things. The hotel and the swimming pool were good but the bedroom and bathroom were unclean and too small. It took a lot of effort to get the staff to change the blood stained bed sheets and pillow cases. The restaurant staff were very inattentive and hopelessly slow. But they got better towards the end of our stay. The beach was not the best on the island but it was great at low tide as all the rocks were exposed. Given the state of the rooms this place was overpriced. We enjoyed our stay at this hotel, however we felt they had never left the resort as their island travel advice was quite misguided. We hired a driver to take us to lanta old town. The driver had absolutely no idea where he was going, drove straight past our destination and broke down in the middle of nowhere and left us stranded in a remote part of the island kilometers away from anywhere. The sun was baking and there was very little shade and we had to find our own way back. We learned it was much better to learn how to drive a scooter. The breakfast which was included was not appetising. We enjoyed everything else about the hotel but spent most of our time at mushrooms bar. The place is alright, but a bit expensive for what you get. There are better alternatives. The bungalow smelled a lot from muld and felt a bit unhealthy to sleep in. 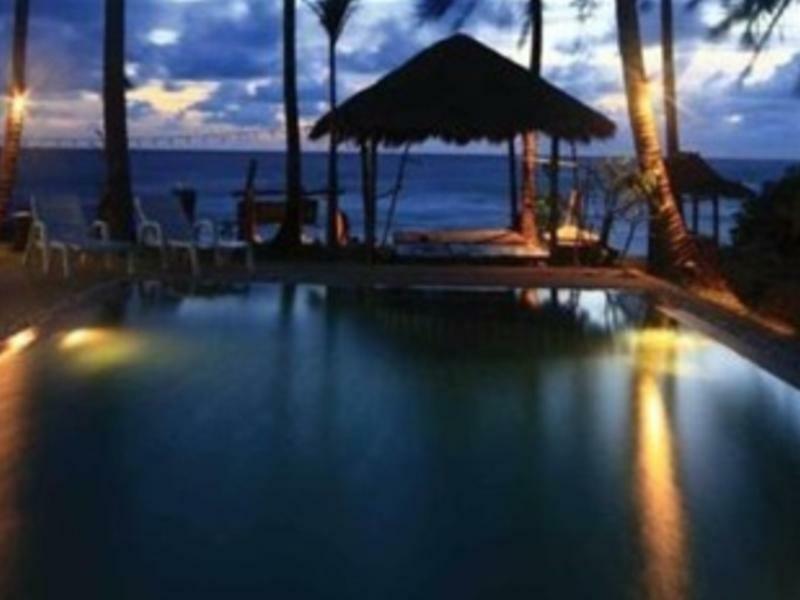 Location is good though - close to good restaurants and beach. Moonwalks restaurant is ok, but the thaifood comes without spices. Do not order the papaya salad. I booked a bungalow in this hotel after seing beautiful pictures. What an awful disenchantment when it turned out that the so-called bungalow was actually more of a dark rabbit-hutch, near the staff rooms . No to mention that the room was not cleaned during my stay. Avoid this place, there are plenty of nicer resort in Ko Lanta. One ceiling light and bed side lamp did not work and were not fixed. The curtains were made of a fabric so flimsy you could look right through them. The fridge was dirty and reeked of stale beer. TV set was defective. The door fitted poorly to its frame, and there was no mosquito net. The a/c worked fine, but was so noisy that I could not sleep for it. Luckily, there was a ceiling fan. The door to the bathroom was broken. The bathroom itself was dirty and mouldy. There was warm water in the shower, but not in the fosset, which was defective. The sink was rattly, as it was not fixed proberly to the wall. During my six days stay, the bathroom was not cleaned and bed linen was not changed. Shampoo and soap were not refilled, those I had to provide myself. There was nowhere to dry clothes except on the small bench in front of the bungalow. Thai style mattress, i.e. very hard. The owner (?) speaks English very poorly, especially when the communication is problem oriented. The economics manager had a very hard time understanding the concept of a receipt. The only person who understood a little more English was a Burmese girl in the reception who fought a brave battle, but appearantly had too much to take care of - a lot slipped through her fingers. The kitchen is ok, overpriced however, compared to the many excellent small restaurants nearby which serve tasty, fresh and honest meals. The breakfast is basic, to be kind. Service at the restaurant is hesitant and incompetent. In general, orders were forgotten, confused or just botched... again, there are many good alternatives nearby. I do not go to Ko Lanta to stay in my hotel room all day. Three stars and the price charged considering, I expected something entirely different. 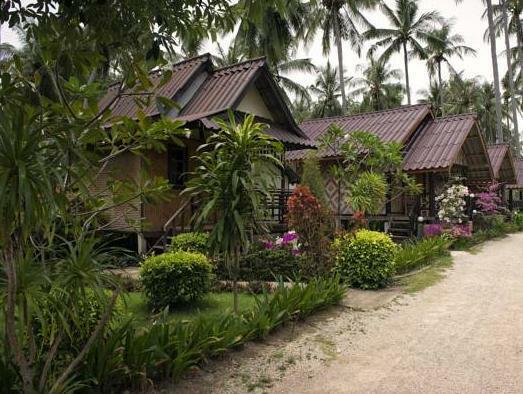 I have stayed in "primitive" two stars resorts in Thailand, with much higher service standards than this place. we stayed here for 3 nights from apr 13-16/12. stayed in an a/c room which was quite nice. the pool was small and warm, but it was still a place to get wet and cool off. overall the food was good, but in a few dishes there was a few unwanted extras...ants. the only real complaint i have is with the staff. they were not very helpful and recommended we go outside of the hotel to book a ferry ride to koh phi phi because it was cheaper. i'm still not sure if they were truly trying to save us money or they just didn't want to help. overall it was an alright stay, but i probably wouldn't stay again. can definitely find the same quality of hotel for the same price with more helpful staff elsewhere. I would not recommend getting a room without AC. We were there in February and it was unpleasant to stay in a fan only room. There was no furniture at all in the room so when I say basic I mean just a bed. 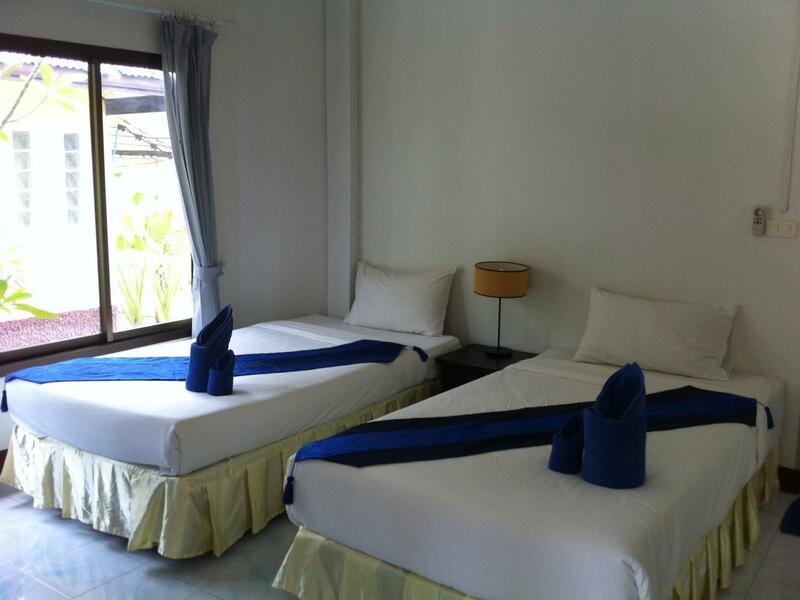 The staff were friendly and the location was worth it, you don't go to Koh Lanta to sit in a hotel room. Male staff were rude and often argued with female staff rooms not as advertised with no wifi and no tv reception. Hotel didnt want to don anything about it would never go back to this hotel as overall one of the worst hotels I have ever stayed in. We booked a standard lodge and it was not a lodge! It was a concrete block at the back of the resort amongst the cleaning facilities. 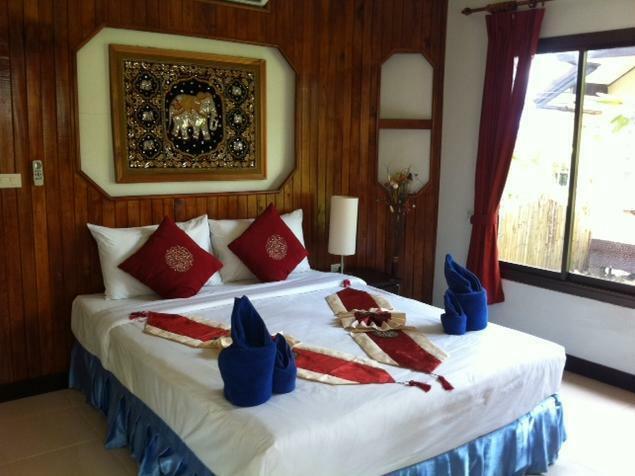 The picture displayed on Agoda is not a true reflection of the standard accommodation. This is superior or delux and costs a lot more. Quite misleading. Having said that the pool was nice and beach lovely. We went here during off season. Pro's: the rooms were really nice and very clean. The swimming pool was a nice treat. The wifi worked in the restaurant area. Cons: The beach was unusable and it was covered in garbage, as well was the ocean. The restaurant couldn't make 1/2 the food they had on the menu when we went to order it. The hotel was under construction while we were there but it wasn't that big of a deal. I think maybe its a different atmosphhere when there during high season..., at least i hope so! Very nice swimming pool, also nice deck to enjoy sunset drinks on. this is our second visit to the moonwalk lanta, and enjoyed our stay as much this time, as we did the last one year ago. 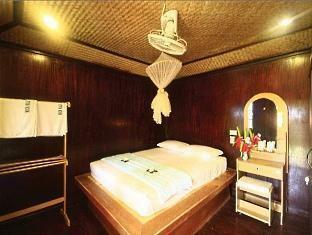 the bungalows are a decent size, and well equipped. they are cleaned, and towels changed, daily. the pool is a nice break from the sand and salt. the restaurant is above standard. particularly enjoyed barbecued seafood in the evening. the air con rooms are really nice, unfortunately i stayed in one of the fan rooms. i did not really feel secure in the room and this was reenforced when the door knob fell off the door! the air con rooms are definately the way to go!